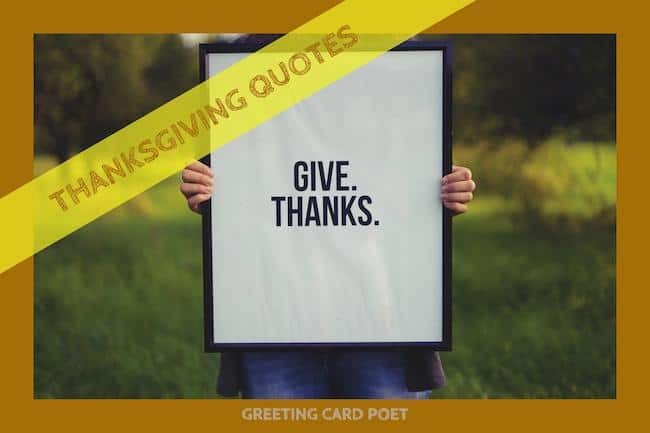 Thanksgiving sayings, messages, wishes and greetings generally reflect the fact that we all have something to be thankful for. If you’re looking for a great quote, we’ve got you covered as well. Life presents us many things to be thankful for, do it with style by learning from the best. Appreciation is like salt – a little goes a long way to bring out the best in us. Tip: These Happy Thanksgiving quotes make great photo captions of food spreads or friends and family. Give thanks for a little and you’ll find a lot. But whether we have less or more, Always thank we God there for. Check out our Thanksgiving jokes and memes. Sometimes the perfect Thanksgiving message includes a little humor in it. Saying Thank You Quotes and Sayings. 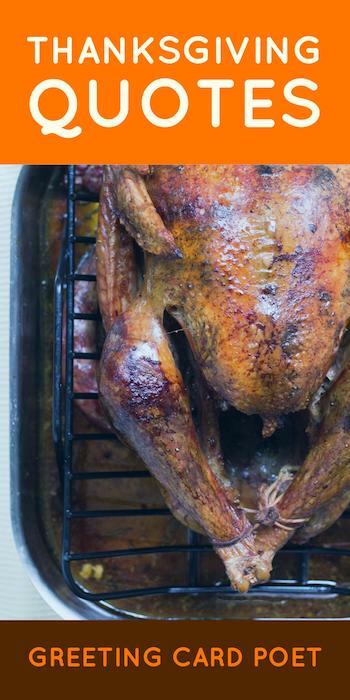 Gobble ‘till you wobble (or Gobble Gobble ’till you Wobble Wobble). On this thankful day, a bushel of blessings for you and yours. A prayer of thanks for all of our blessings. Gratitude turns what we have into enough. 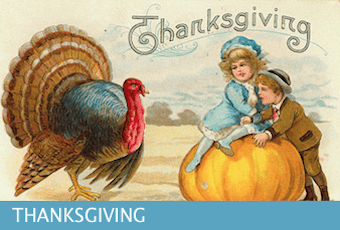 Warmest Thanksgiving wishes to you and your family. On this blessed day, please Lord bless us all. Love to all we know and warmest Thanksgiving wishes! Wishing you carve out some great turkey-day memories – Best Thanksgiving Wishes. Getting together to smile and rejoice; eating and laughing with folks of your choice. Being together is the best gift of all. A day of thanks and sharing. Thank you Lord. Giving thanks for your friendship today and everyday. Warmest Thanksgiving wishes! We’re thankful for the two best things that come after our meal: 1.) The nap, and 2.) The leftovers. Be thankful for elastic waistbands. Let us give thanks to unknown blessings already on their way. This holiday gives us the opportunity to tell you how very much your friendship means to us. Eat – Watch Football – Eat – Repeat. Very thankful for not having to sit at the kid’s table this Thanksgiving. Among the Many Things We Give Thanks For Are Loyal Friends Like You Who Have Helped Make This Year A Success For Us. On this Thanksgiving, bless the Lord. Hope this Thanksgiving will be your most wonderful yet. Happy Turkey Day! 1. Me 2. Your family 3. Everyone who recognizes kindness, caring, and generosity of spirit. Just a short list of the people whose lives you’ve touched. Happy Turkey Day! We wish you God’s blessings, love and all things happy. Let our hearts be full of both “Thanks” and “Giving”! Have a most enjoyable Turkey Day, and save room for pumpkin pie. Help us to see what is there, not what isn’t. A card on this day seems inadequate for all that we’re thankful for. As we sit down for this Thanksgiving meal, let us be appreciative of all we have. Gratitude is said to be the memory of the heart. Wishing you a heartfelt Happy Thanks and Giving Day! On this blessed day, we give thanks. Save a turkey, order out pizza. It’s not the minutes spent at the dining table that put on weight, it’s the seconds. We’re thankful for football, recliners and elastic waistbands. Don’t think of it as “overeating” on this day. Think of it as building energy for the biggest shopping day of the year! Gather together; Give Thanks; Eat Pie! Don’t be that guy who starts a diet the day before Thanksgiving. You are what you eat – Turkeys! You’re the kind of friend who knows I don’t really mean it when I say I only want a small piece of pie. Have a great day! May your turkey be plump and your tummy full. Or is it the other way around? Tip: Use some of these Thanksgiving sayings for photo captions on Turkey Day. Across the Miles To You. Although our homes are much too far away, our hearts are next-door neighbors. Happy Thanksgiving. May the good things in life be yours in abundance. Wishing you have plenty of reasons to say, “Thanks” on this day! No need to count calories today, just your blessings. Happiest Thanksgiving wishes to you! Eat pie, drink wine and be grateful. Give love Thanksgiving Day and all through the year. Hoping these will sway your answer to the most important question of the day–Do I have to wear one of those funny pilgrim hats to dinner? Our hearts are joyful for our many blessings. Sending you all of our Thanksgiving Day love. We miss you. Blessed are those who can give without remembering and who take without forgetting. May your holiday be joyful and Thanksgiving happiness surround it, with good things on your table and those you love around it! Learn more about the history of the holiday. If you have any suggestions for Thanksgiving sayings or messages for this page, please use the contact us for or send us emails. You’re on Thanksgiving sayings page.